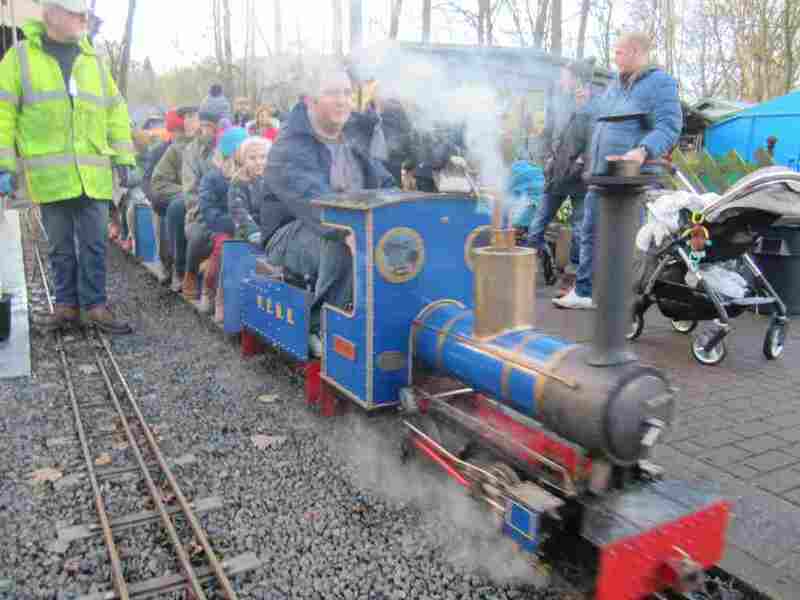 The Christmas Event took place on Sunday 9th December and was extremely well supported with long queues all day long waiting to ride on the trains and visit Santa in his Grotto. 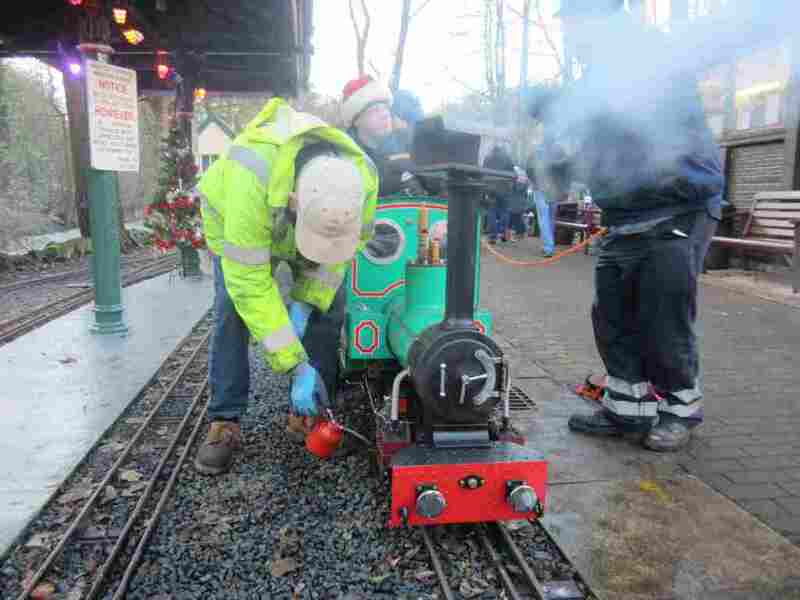 The elves were busy at the station ensuring that as many people as possible were able to visit Santa. 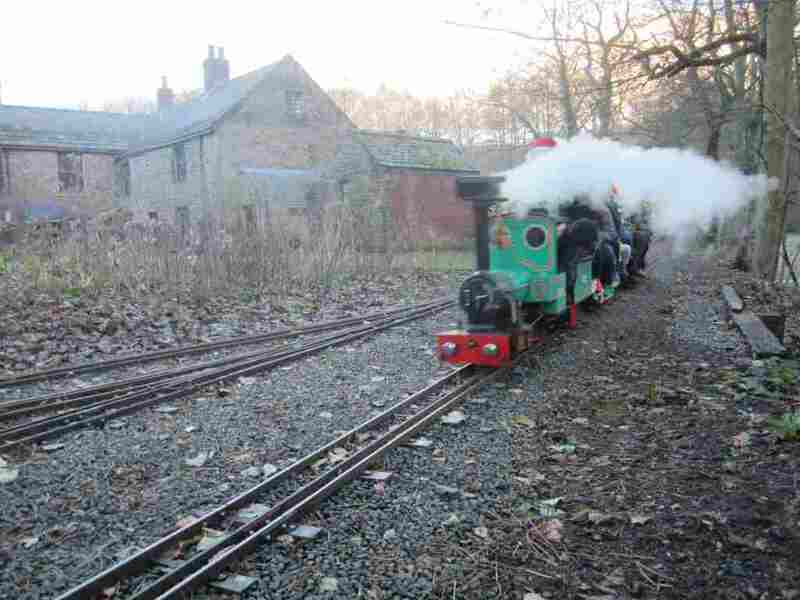 Two steam locos and one petrol-electric loco were run continuously from around 10:30 until 16:00 as the light faded. 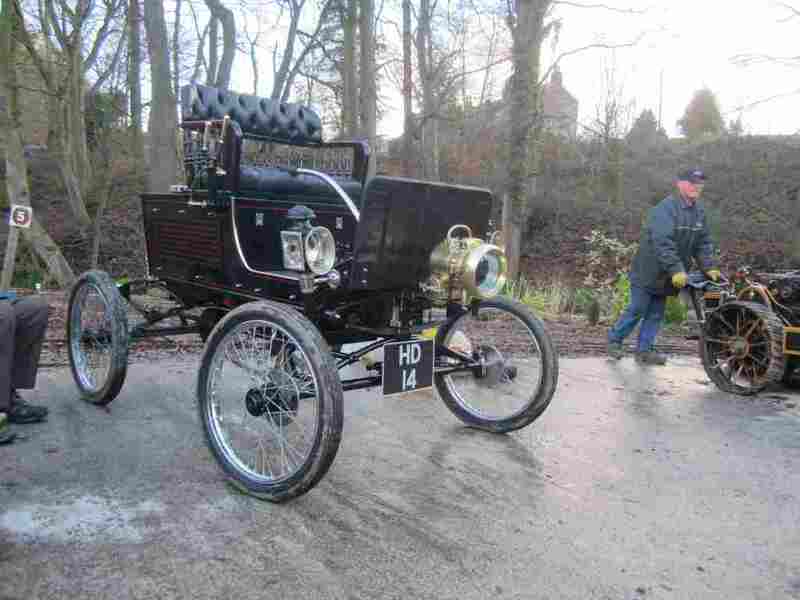 The weather was kind and it remained dry during the event. 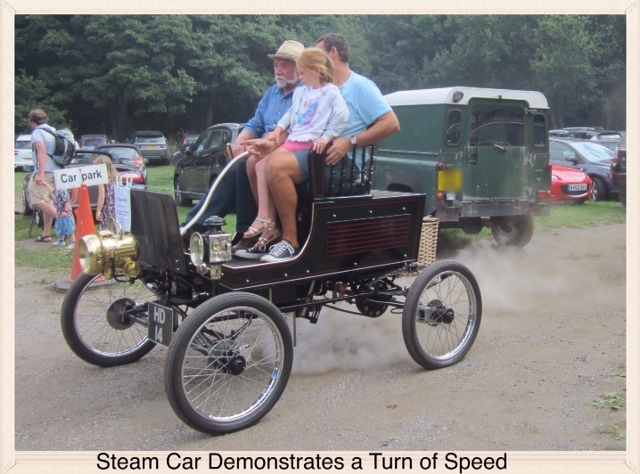 Traction engines were displayed and ran around the site but the steam car suffered a burner problem so was unable to run. 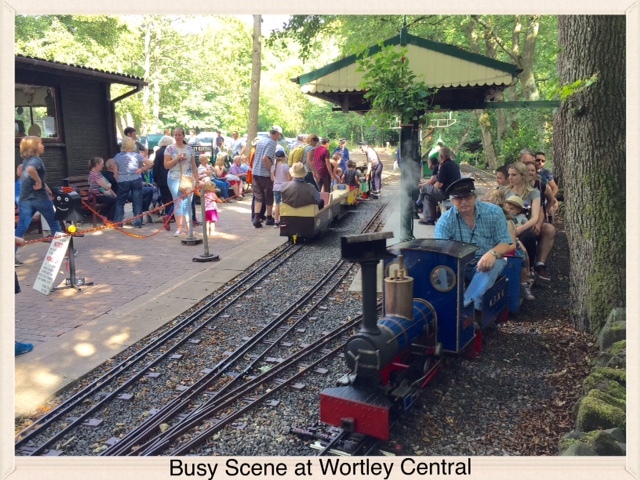 A really successful day but very tiring for all of the members who were kept busy running the Tea Room, Barbecue, Driving the trains, Raffle, PA music and announcements and Guards were provided on all trains which helped minimise the waiting time together with efficient control of visitors by the Station Masters. 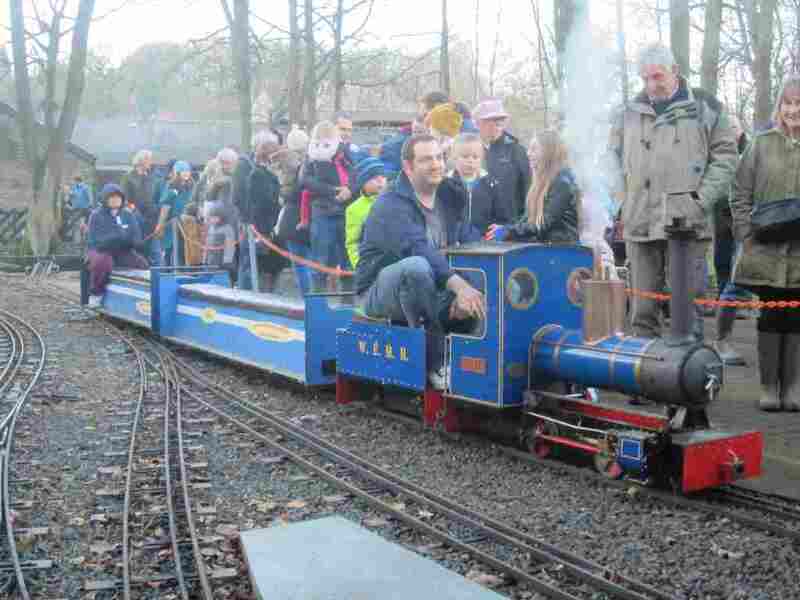 A really big thank you to all who worked so hard to make this a great day out for the many familes who visited. 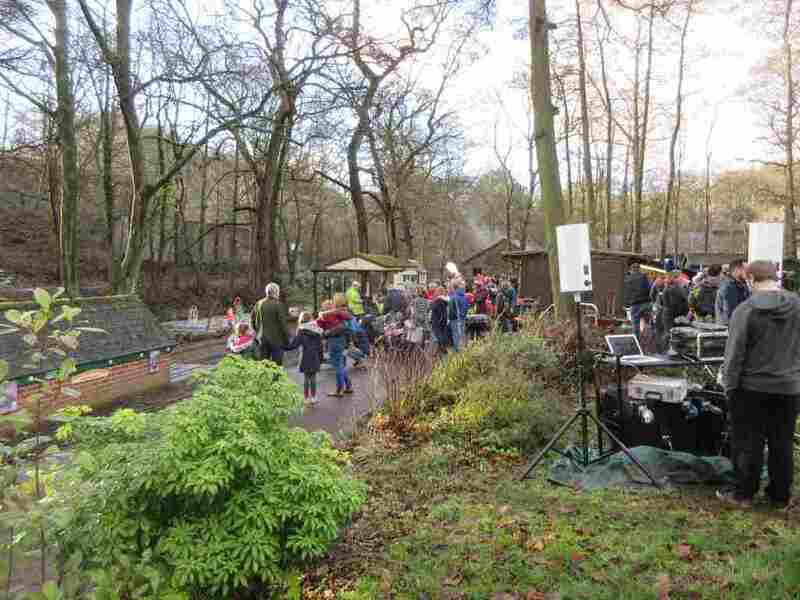 We have never seen so many people for a Christmas Event before and that they were still all smiling at the end of the day is testament to the hard work put in. We hope you had time to enjoy the day a little too. 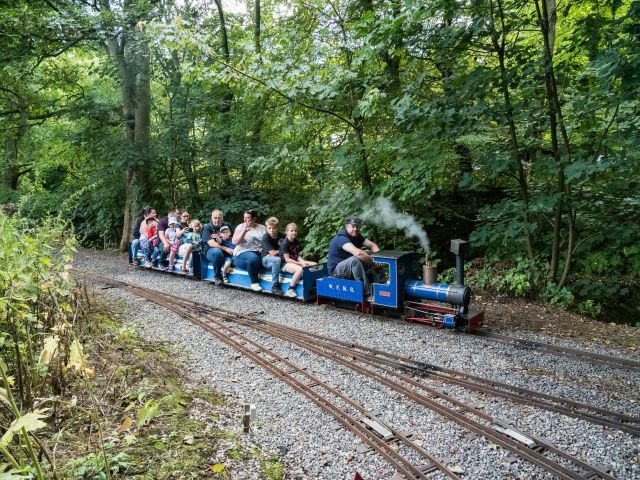 During April 2018 a Channel 5 team arrived and recorded some footage and discussion about the miniature railway. The TV program was broadcast on 28th September on Channel 5. 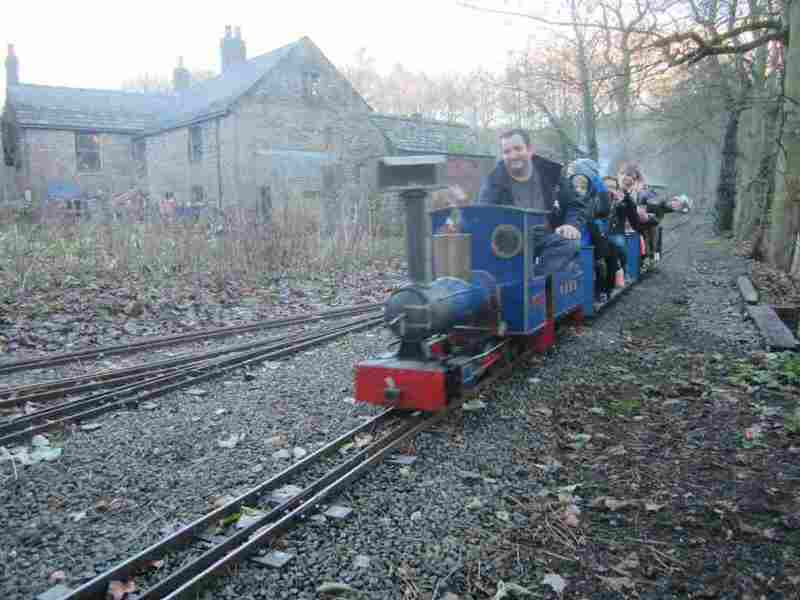 If you havent seen it watch it on CatchUp, it's called Walking Britains Lost Railways (Episode 2), you wont be disappointed, the footage highlighted how good the railway is after the hard work of members over the past years, a credit to you all. 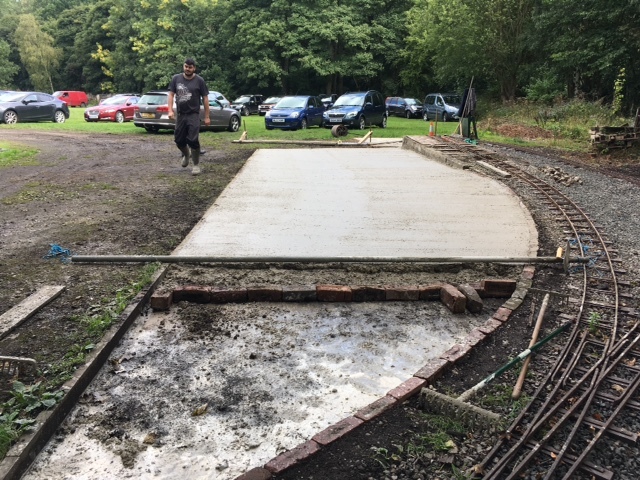 Following the success of the Open Day on 12th September we laid a concrete hardstanding for the Traction Engines to steam up in future. 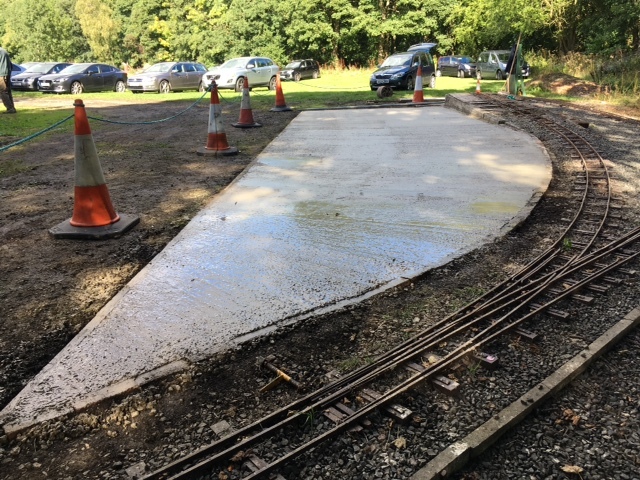 The call for help laying, tamping and levelling the readymix went out to members and on the day a good response enabled us to complete the task in a couple of hours. 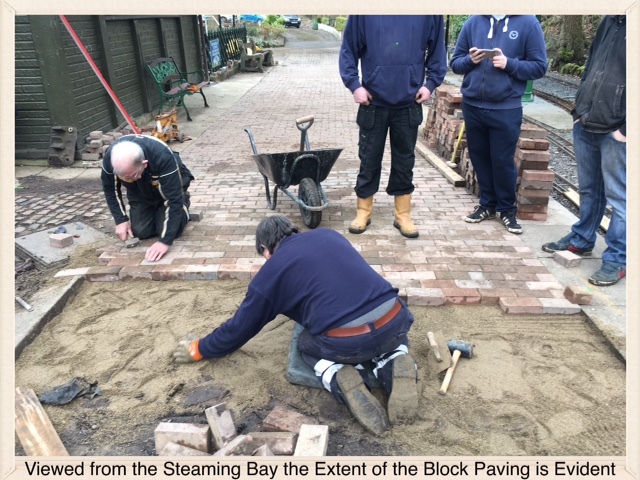 The pictures below show the hardstanding partly done and also completed. 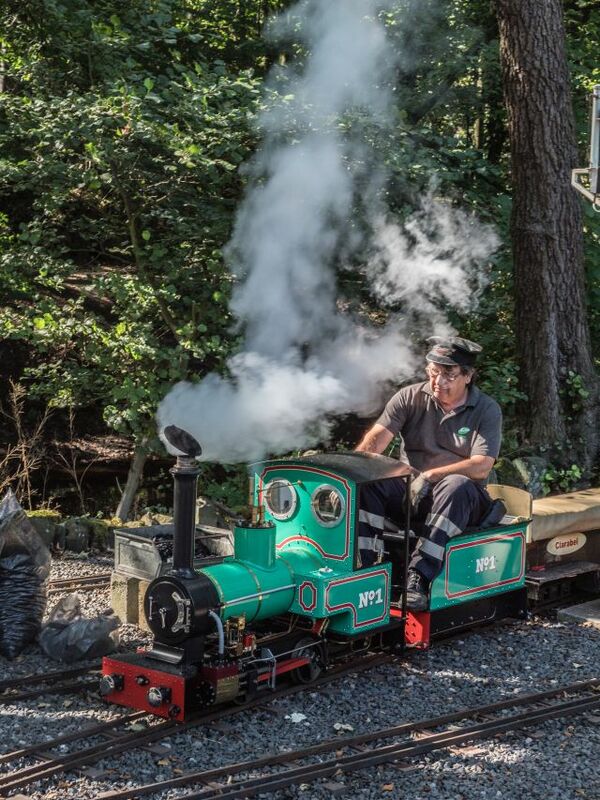 The weather on the Sunday before the Open Day was atrocious with torrential rain all day, so we held our breath for a dry day on 2nd September and were blessed with a glorious warm and sunny day. 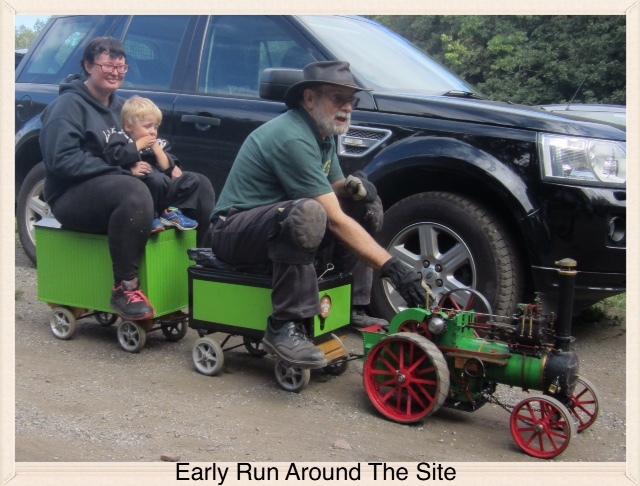 We arrived early to setup and prepare the locos and traction engines in anticipation of seeing many happy visitors arrive and we were certainly not disappointed. 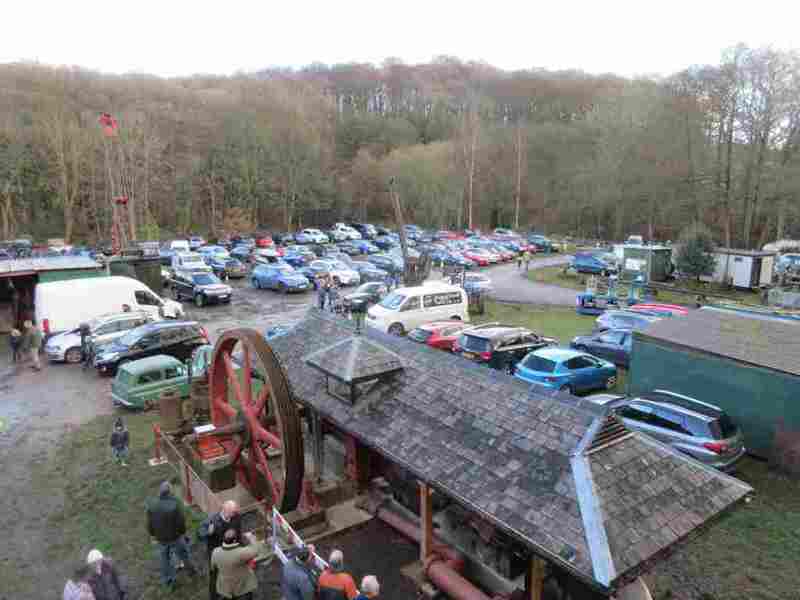 Visitors started to arrive around 10:30 and by 12:00 the car park was almost full, and still the visitors came. 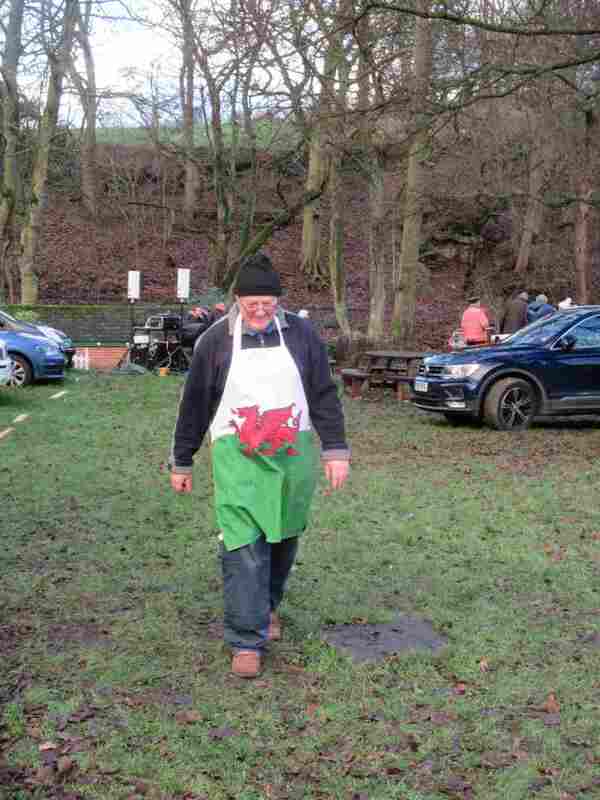 Many visitors unfortunately had to park on the road outside and beside the river but judging by the smiles none were deterred from coming to see what we had to offer. In the 25 years I have been a member I have never seen so many visitors. 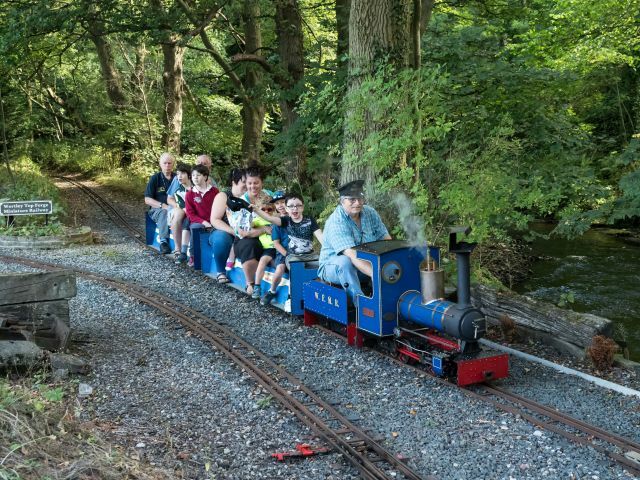 this kept us extremely busy until around 4:30 with 2 steam locos and a petrol electric loco running non stop for the best part of 6 hours ! 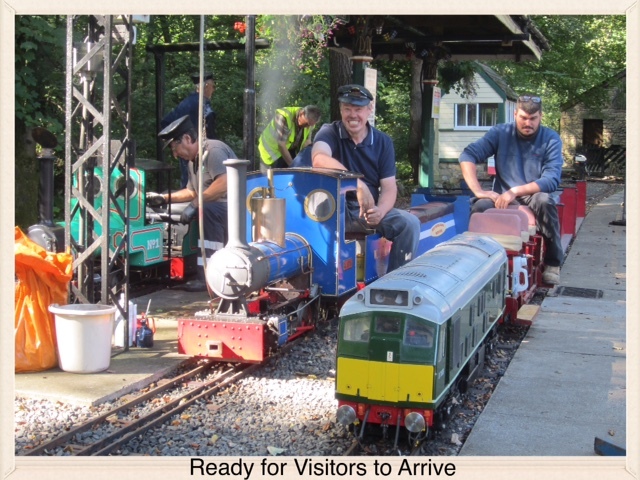 Thanks to the members who waited on the platform to oil, replenish coal and water the locos which helped minimise the stopping time in the station. 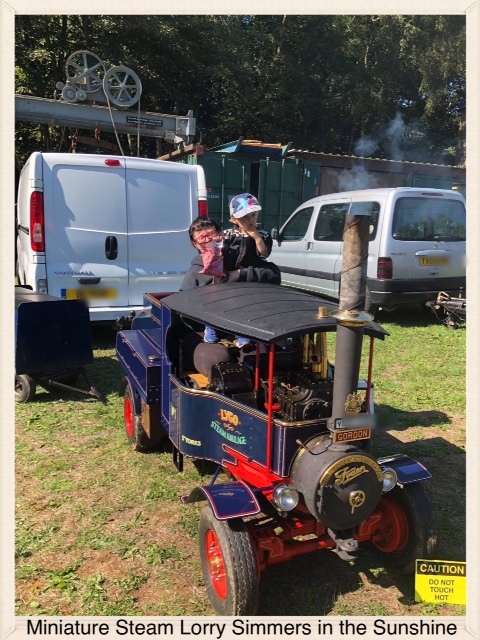 The traction engines and steam lorry kept visitors interest when not riding on the trains, a full size steam car also created a lot of interest and both Elizabeth the Beam engine and George III, the newly restored compound engine, were running on compressed air. 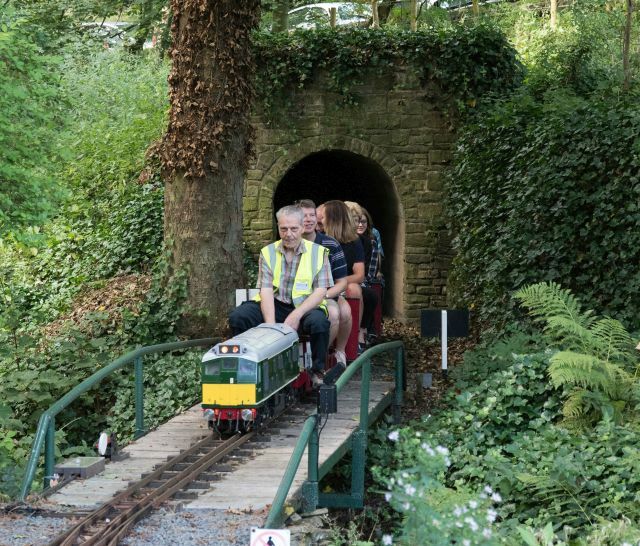 A huge thank you to all the members who helped on the day : driving, signalbox, guards on trains, station passenger loading, BBQ and a special thanks to the ladies in the tea room who also worked non stop all day. 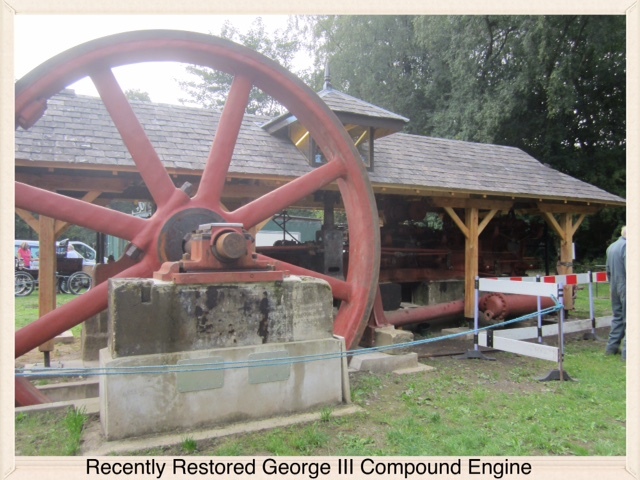 The comments from Visitors and members alike were very complimentary and many families vowed to come again. 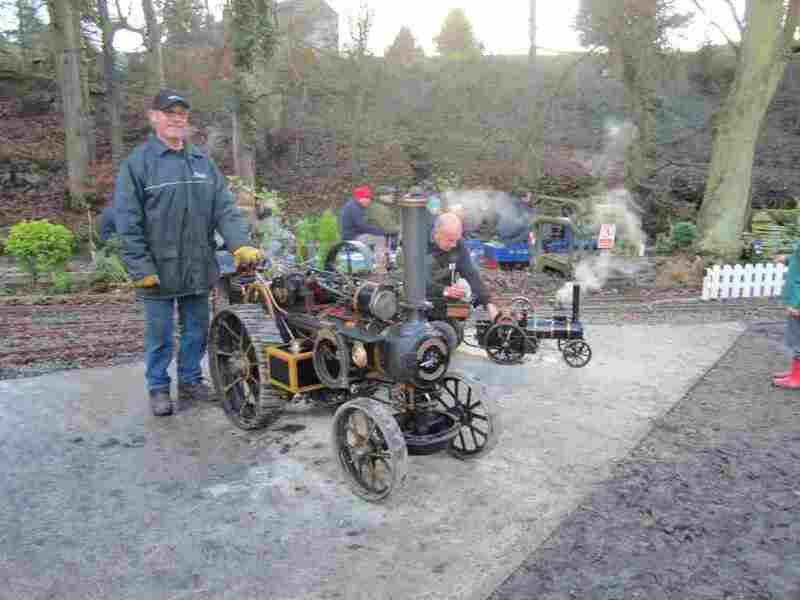 This has to go down as the most successful Open Day that any of us can recall. 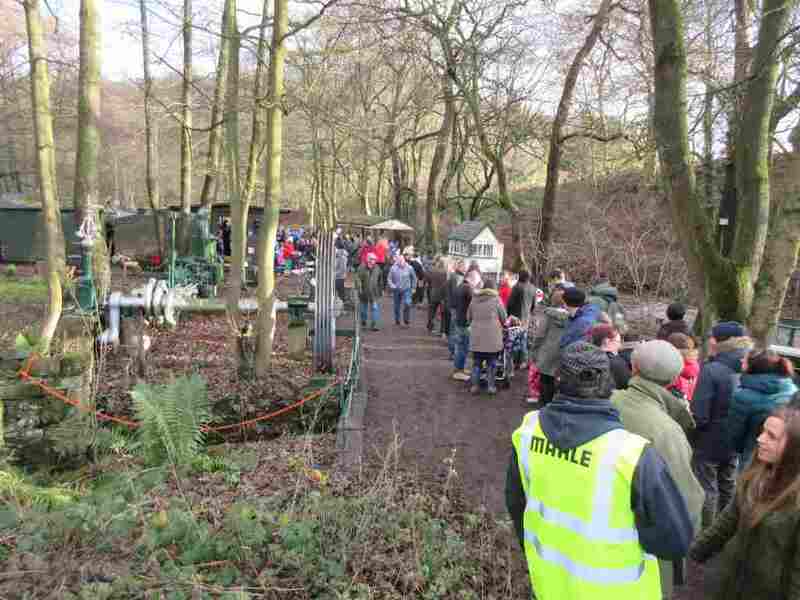 Unfortunately, as we were so busy I didnt have the opportunity to take as many photos as usual but below are a selection which I hope captures the atmosphere and interest on the day. 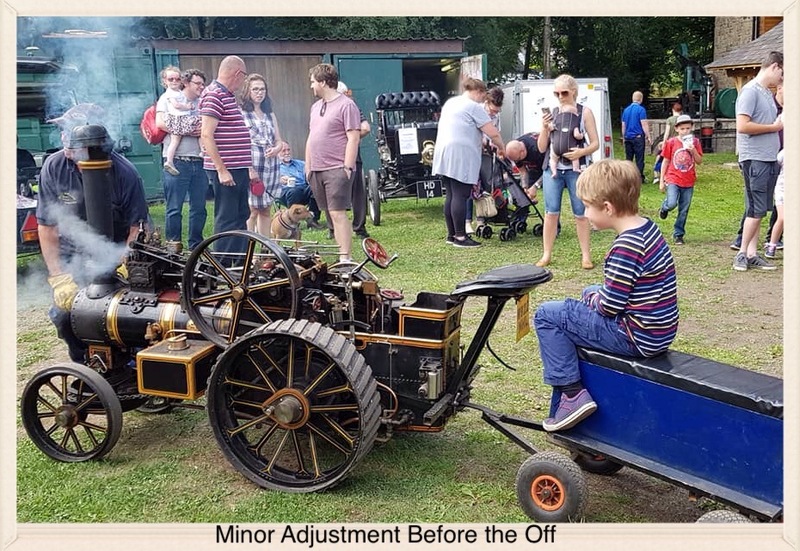 As discussed at the AGM we arranged a Members Running Day and BBQ on Friday 20th July and after the long spell of warm weather we gritted our teeth and crossed our fingers that the forecast rain would not spoil the day.We had a few spots of rain but not enough to dampen the enthusiasm. 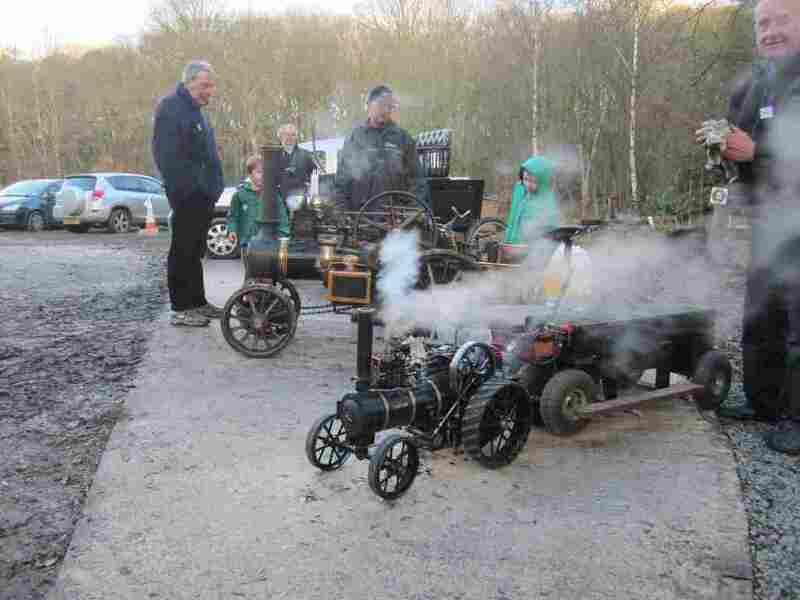 The event was supported by members and their families and we had 5 steam locos, one battery powered loco, a steam car and 2 traction engines running from around 1:30 until 6:30. the BBQ was lit and we all ate our hot food as and when we were hungry. All commented what a relaxing day it was and how much they had enjoyed it. Members arrived at different times and we finally packed up at 7:45 in the evening. Below a couple of pictures taken late afternoon while drivers took a breather and a cuppa. The weather is still variable, to say the least. 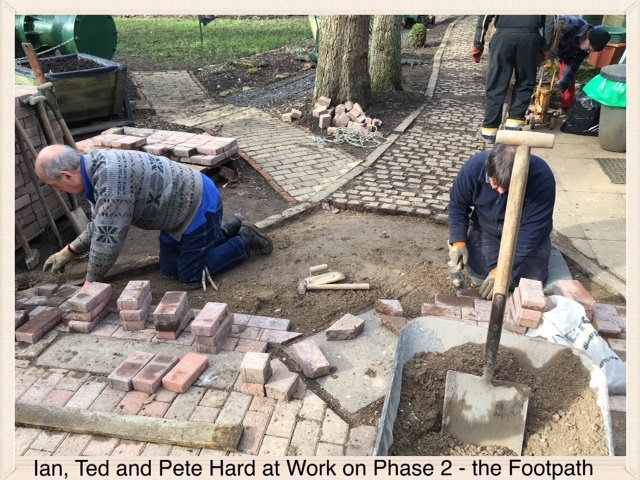 However, work continues on various tasks around the site. Trevor re-aligned the track on the upper loop. 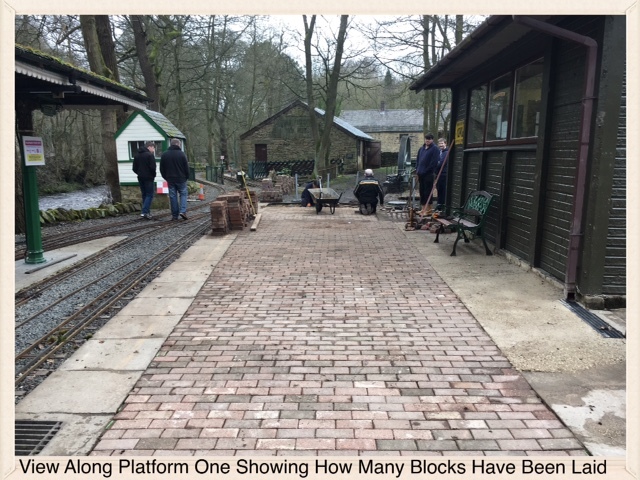 Steve completed new pointwork at Forge Halt and the Headshunt. 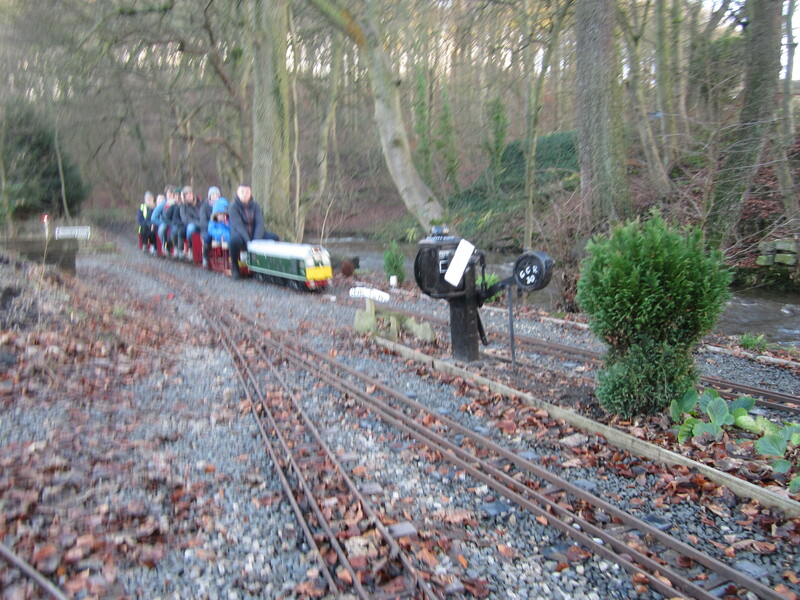 Chris and Don made repairs to the automatic signalling from the tunnel and have made the switch operation more robust. 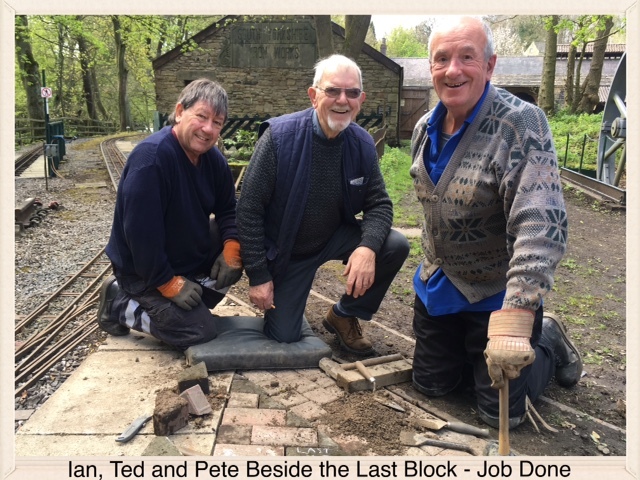 Steve, who only recently joined us, has repaired rotting woodwork on the signalbox and already put the first coat of paint externally and internally. Further coats of paint will complete this task in early May making the appearance and protection against the elements effective. 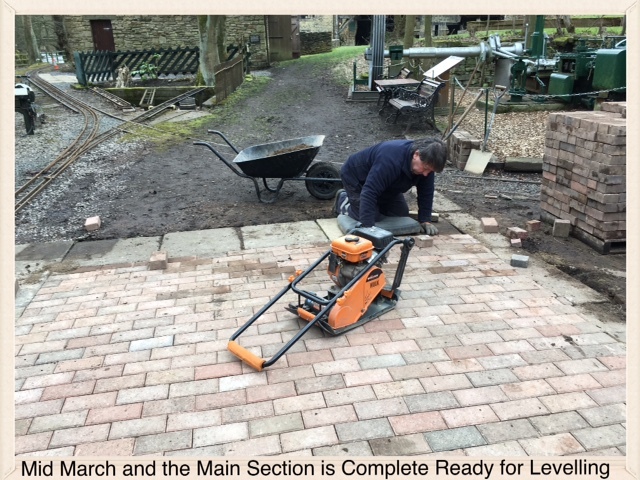 Chris, Dave and Jonathan have completed a hardstanding adjacent to the loading/unloading ramp. 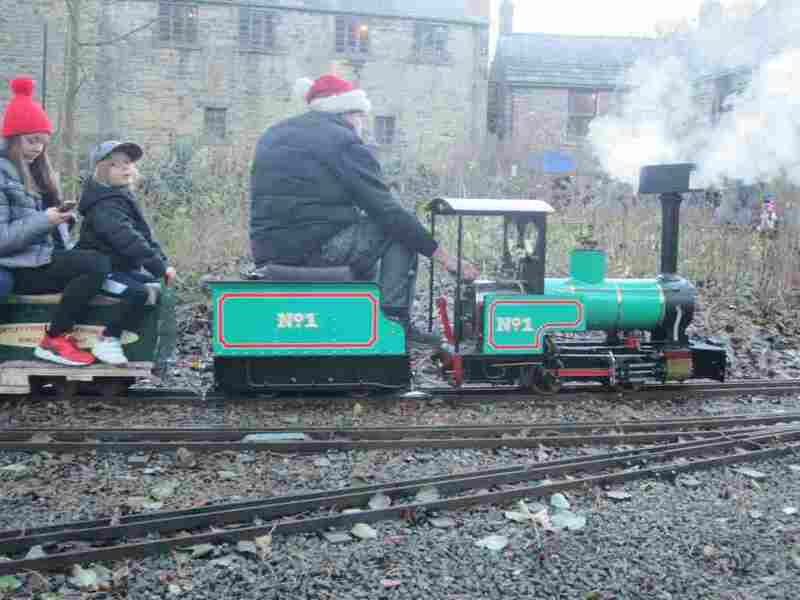 This will enable trailers to safely load and unload locos and rolling stock. It is coloquially known as the helipad ! 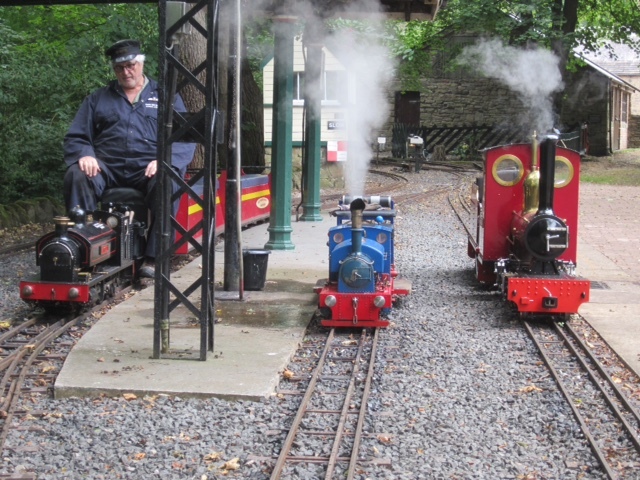 Keith has made new Finials for the carriage shed and once the paint has dried will be fixed at either end of the carriage shed. 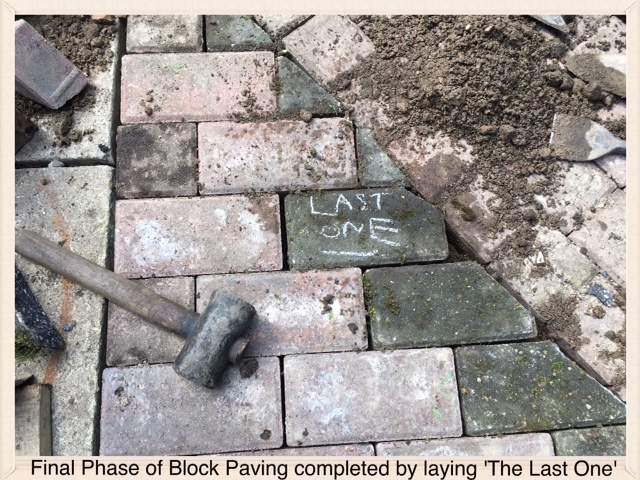 The final phase of the Block Paving has been completed with 'The Last One' being laid by the team on 2nd May. 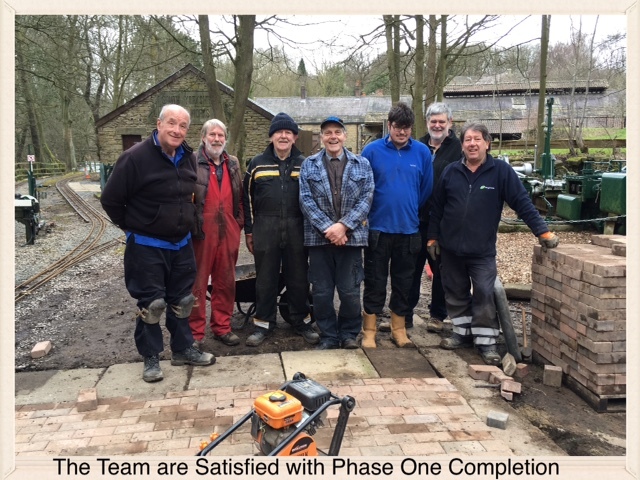 Well done to All who helped on this big task, a real improvement to our fairway between the Platforms and the Clubhouse and side path. 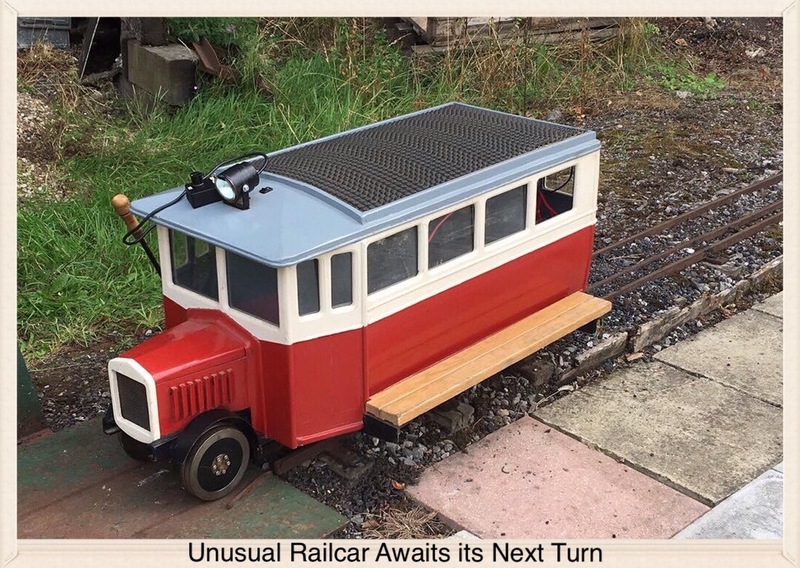 Repair work has been completed on the Class 20. 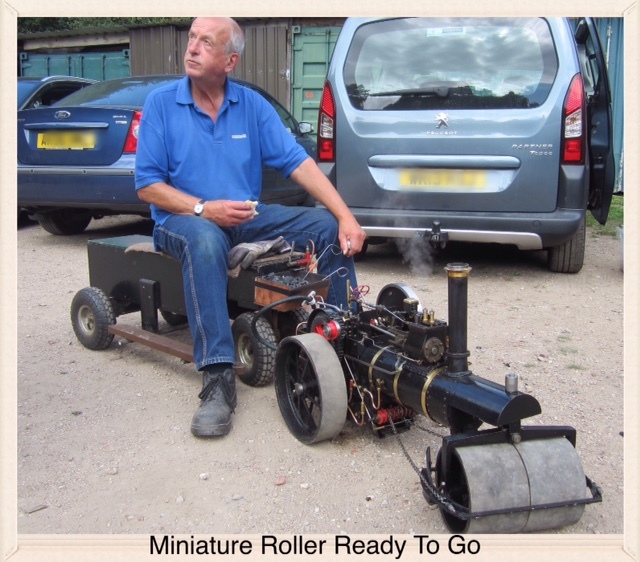 One of the motors had to be rebuilt and on the same bogie a wheel had to be re-aligned and fixed to the axle. 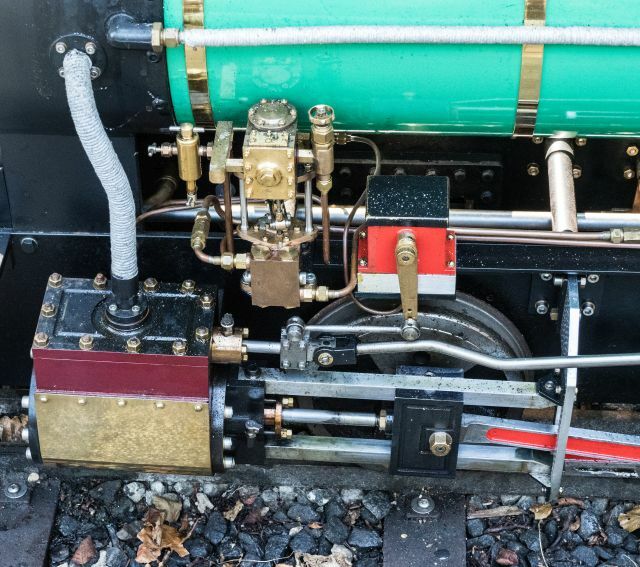 Some re-wiring of the battery connections will complete this loco ready for regular running again. 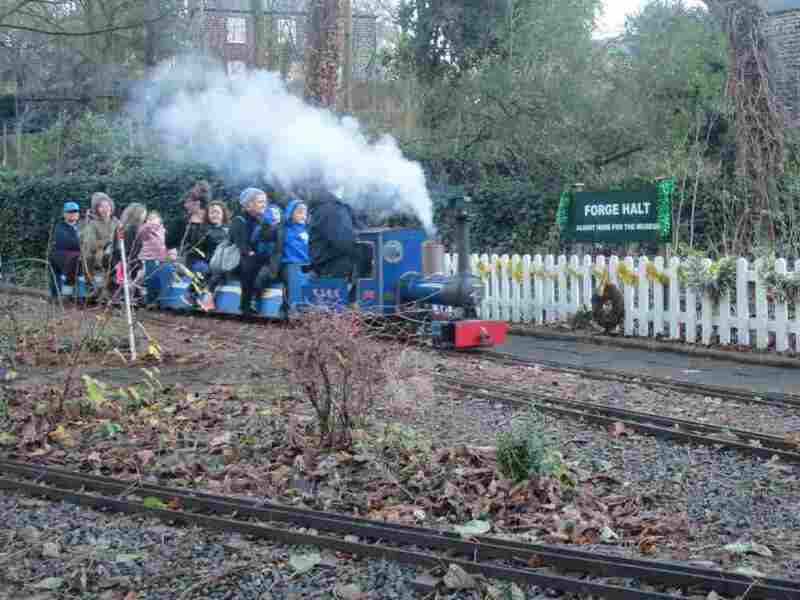 One of the Passenger Carriages also had a minor repair following a regular safety check. 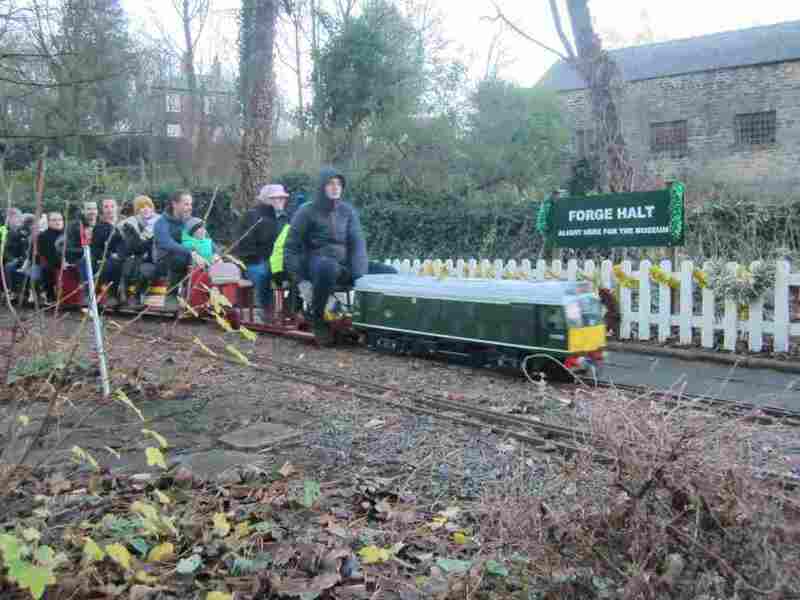 During April a TV film crew spent a day filming at the Forge and also filming our railway for a short slot in the program. 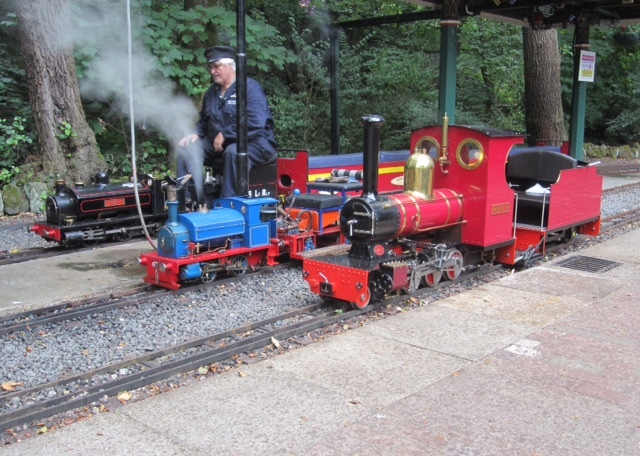 We had a cold but busy afternoon of running both steam and electric locos and talking about the railway and infrastructure associated with running it. 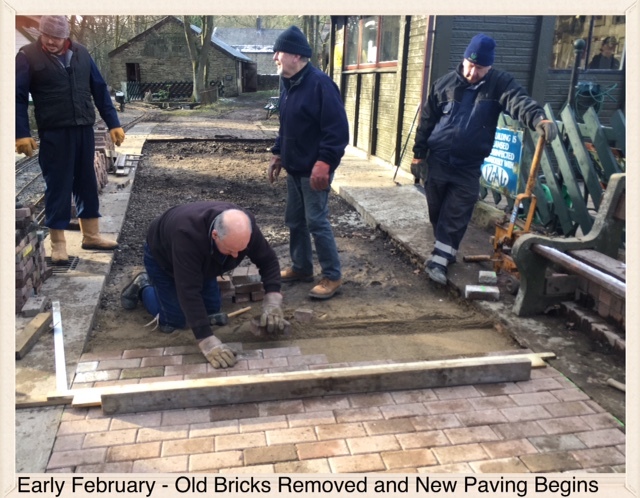 Thanks to all the members who supported this and we all look forward to seeing the finished program. More details on this when we know when the program will be broadcast. The terrible weather in January, February and March may have deterred many to stay at home or stay in the clubhouse. 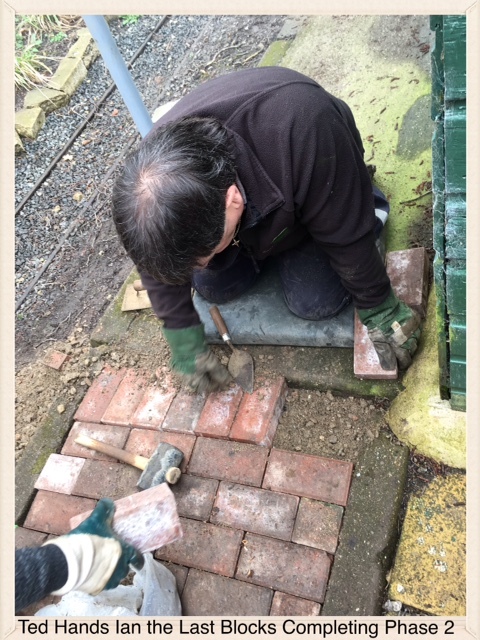 However, not the hardy core of members who worked tirelessly on cold and snowy days to lift the old house brick paving between the platform at Wortley Central and the clubhouse, repair and add drainage before laying a superb block paving area replacing the old bricks including the footpath which runs up to the garden shed. The visual improvement is clear to see and has made walking in these areas so much easier. 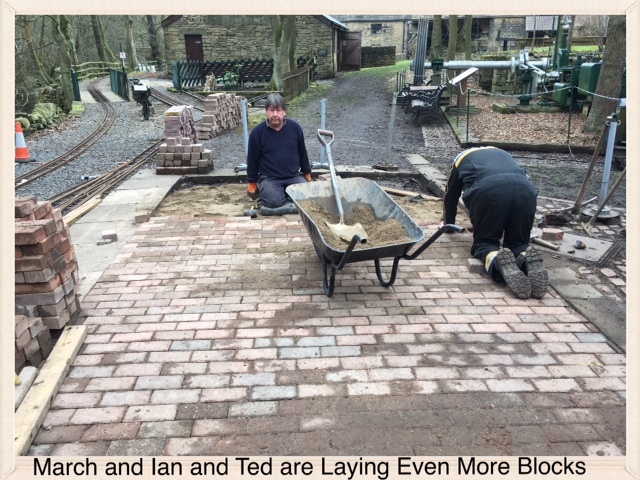 We owe the Block Paving Team a huge thank you and also thanks to the members who donated the blocks.